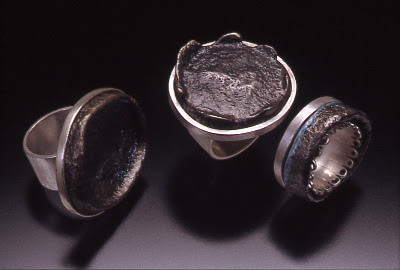 Wedding Set Series Male and female ring set in sterling silver and serial plug. 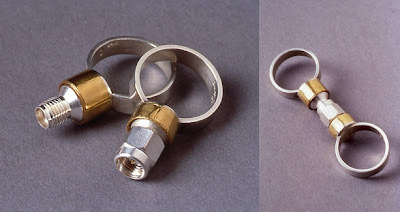 Cat 5 Connection:Male and female ring set in sterling silver and ethernet plug. 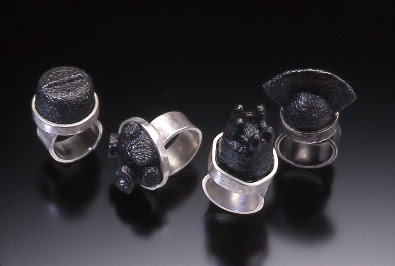 Transmitter Series rings in cast iron and sterling silver. 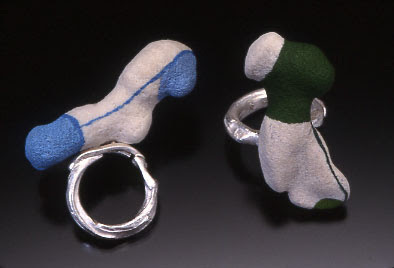 Transmitter Series rings in cast iron, sterling silver and acrylic paint. 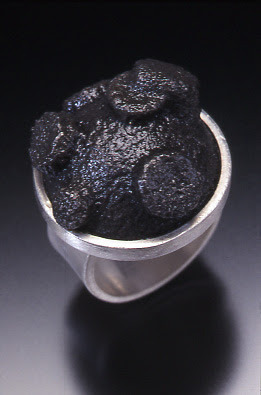 Transmitter Series ring in cast iron and fabricated sterling silver. 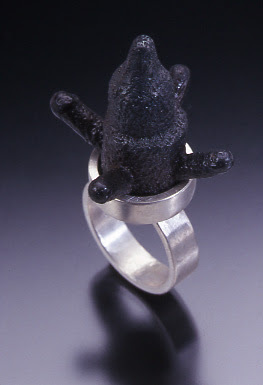 Transmitter Series ring in cast iron and sterling silver. 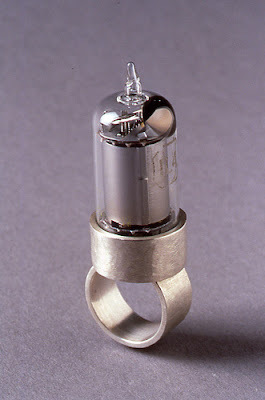 Ring with a vacuum tube set in sterling silver. 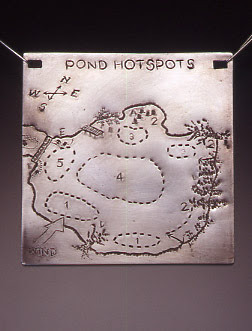 Necklace from the Nature Series in stamped and engraved sterling silver. 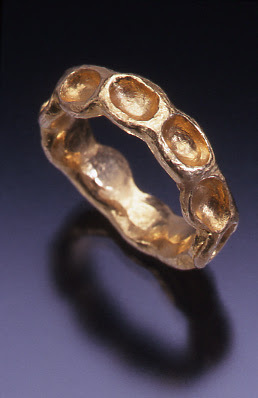 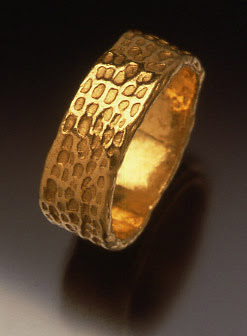 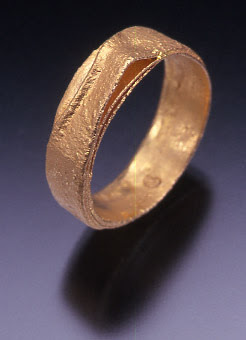 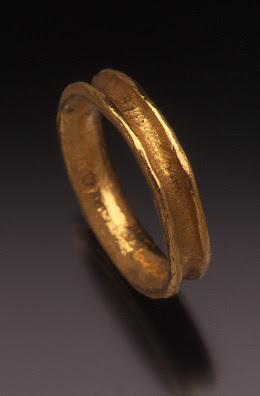 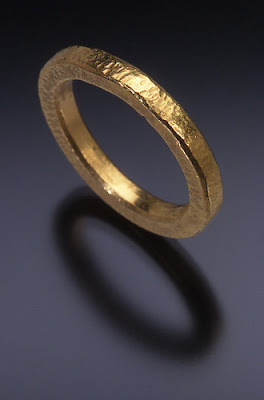 Ring in fine gold, coiled and fused. 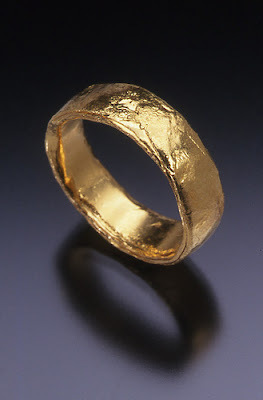 Forged ring in 24k gold with chased pattern. 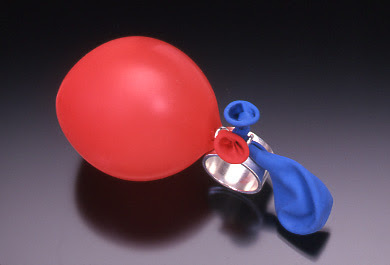 Rings from the Controlled Object Series with acrylic paint, coral and fabricated sterling silver. 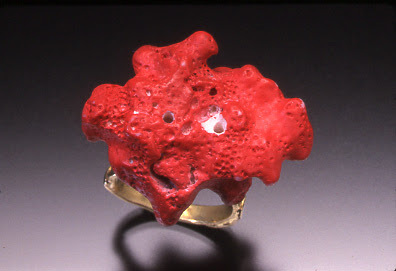 Ring with coral, acrylic paint abd 18k gold. 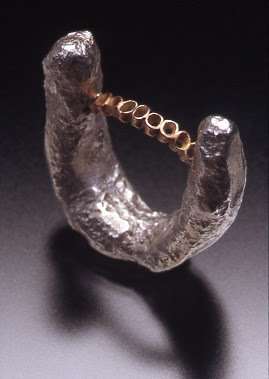 Breathing Ring. 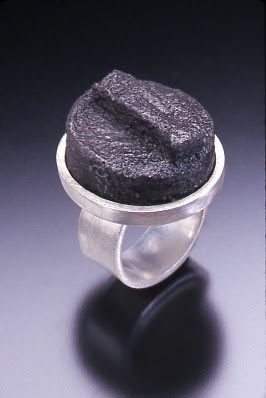 Bridge to Nowhere: Ring from Nature Series in forged sterling silver and fabricated 14k rose gold.